How much is Billy Joel Worth? 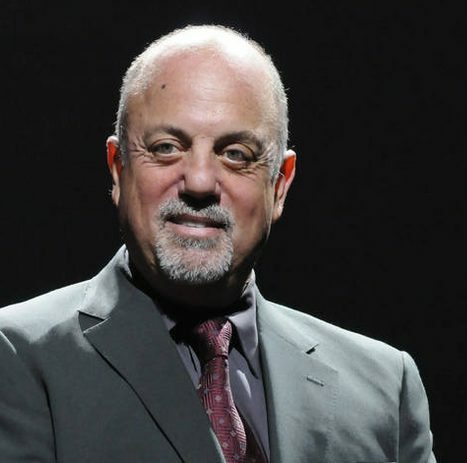 Billy Joel Net Worth: How rich is Billy Joel? & How much money is Billy Joel worth? Time to find out! Billy Joel is an American singer-songwriter and pianist and his current net worth is $215 million. Born in Bronx, to his father, Howard Joel, a classical pianist, and his mother, Rosalind, he grew up in a Levitt house in a section of Hicksville, New York. At the age of eight, his parents divorced and he moved to Vienna, Austria. From an early age, Joel started taking piano lessons, at his mother’s insistence. Among his teachers included the famous American pianist Morton Estrin and musician Timothy Ford. As a teenager, he used to box so he could defend himself. He even became a successful boxer on the amateur Golden Gloves circuit for a short time, and won 22 bouts. However, he abandoned the sport after he broke his nose in his 24h boxing match. Growing up, he attended Hicksville High School, from where he didn’t graduate with his class. In order to help his mother with her debts, he started playing piano bar, which interfered with his attendance in class. So he missed a crucial English exam, because he was at the bar, playing the evening before. Although he had good grades, he didn’t graduate because he didn’t have enough credits. Then he decided to begin his music career instead of attending summer school. However, 25 years after he left school, he received his diploma at Hicksville High’s annual-graduation ceremony, after he submitted essays to the school board. How did Billy Joel start his career? He decided to pursue a career in music after he saw The Beatles on The Ed Sullivan Show. Among his influences in music are The Beatles, The Drifters and The Four Seasons. Then he joined the Echoes, a group that specialized in British Invasion covers, which started recording more than 50 years ago. Around that time, he used to play piano on several records released through Kama Sutra Productions, as well as on recordings produced by Shadow Morton. For the Shangri-Las, Joel played on a demo version of Leader of the Pack, which later became a major hit. The release of the single included a co-producer credit for Artie Ripp, who later became the first person to sign and produce Joel as a solo artist after Michael Lang. At 18 years old, Joel left the band after two years, to join the Hassles, a Long Island band signed with United Artists Records. Over the course of one year and a half, the band released four singles and two albums, all commercial failures. Two years later, he and the drummer Jon Small left the group and started the duo Attila, which released eponymous debut album the following year. After the duo broke in the following October, he started an affair with Small’s wife, whom he eventually married. Soon after, Joel signed a contract with Family Records, with whom he released his solo album, Cold Spring Harbor. In the fall of 1971, he started his Cold Spring Harbor tour, touring with his band, throughout the US and Puerto Rico, opening for groups like the J. Geils Band, among others. How did Billy Joel get famous? After a local radio station started playing Joel’s song, a Columbia Records executive, heard his music and introduced him to the company. Joel signed a recording contract with Columbia, which made him move to Los Angeles, where he lived for the next three years. In the following six months he worked at The Executive Room piano bar as Bill Martin, where he wrote his famous hit, Piano Man, about the bar’s patrons. Released in 1973 under Colombia, his album had modest sales. Despite that, Piano Man’s title track became his signature song. After his songwriting started attracting more attention, he became one of the most famous recording artists in the world. His first hit song, Piano Man, made him the sixth best-selling record artist in the world. Thanks to the song he is also the third best-selling solo artist in the United States. Joel’s compilation album, Greatest Hits Vol. 1 & 2 is one of the best-selling albums in the US. During the 1970s, 1980s and 1990s, he had Top 40 hits, which helped him achieved 33 Top 40 hits in the US, all of which wrote by him. How does Billy Joel make money? For his work he has also received many awards and nominations, including six Grammy Awards and 23 nominations for Grammy Awards. Throughout his entire career, he has sold more than 150 million records worldwide, making him one of the best-selling artists of all time. In 2013, Joel received the Kennedy Center Honors, the nation’s highest honor for influencing American culture through the arts. Since 1993 he stopped writing and releasing pop/rock material, but he continues to tour, and he plays songs from all eras of his solo career. This wraps up our Billy Joel Net Worth profile! How much is Zoe Saldana Worth? How much is Peter Dinklage Worth?